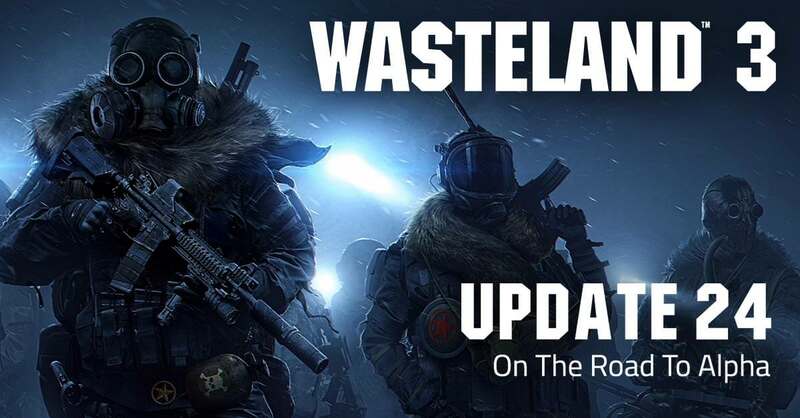 In this latest update, we check in with Wasteland 3's production across the board. As we roll on into 2018, Wasteland 3 has been in full production for a while and I’m happy to say we’re hitting all our major milestones on design, art, and engineering. Looks like solid pipelines are in place and excellent progress is being made. Excitement! There's a lot of talk about game construction, they seem to do that a lot. They use all the terms, but don't talk shop. we're probably missing some nice Disconnected Result ranting in the process. But let's not forget making the ending function one with better replayability then WL2 had. The concept design, and the enemy diversity are all good things. But if you're going to talk about level design, you can't forget the last level. When WL2 hit the end, all we got was a scoreboard and a chance to play again with our roster-saved team. What about putting the players back on the map again and being allowed to keep going, like in WL1? That was something that helped make Wl1 the entertainment that made it so popular. Mystery Ranger- they probably drove Snake stir-crazy with demands and he left. The clowns. I'm liking what I'm seeing, and hoping the inevitable fight scene is as happy as it looks, and as overpopulated as I hope. The spider bot looks less then the intentionally-going-for-horrible spiders and more like a flea. Whatever. It looks like something that came out of a factory, then something built in a garage. It may be a common foe. Here's hoping they fixed some of the dialogue errors previously pointed out. On the matter of the Patriarch- will the game mention current fads and will we have to save the Patriarch from being 'smashed' by insane women? "The Wasteland 3 UI departs in appearance from that of its predecessor." Uh oh, I wonder what that will mean for players? The menu system for WL2 was alright, and the game adjustment had more options then I needed, but it had options that I needed. It didn't need streamlining, but they may be trying to make it more x-box compatible then PC compatible. They talk so proudly about the visual snow effects, and background audio sound subtitles. My reaction is "How do I switch it off?" I like a leaner-ram program then WL2 delivered. As the game is said to ship at the end of 2019, we've still got a lot of waiting to do. Are they sticking to promises of releasing an Alpha to playtesters? "One thing we're still puzzling out: what to include in our time capsule that we'll be burying in Colorado. If you've got some ideas, we'd love to hear them in the comments below!" There's many problems that get overlooked when making a time capsule. Plan for it freezing and leaking. Plastic wrap and cheap-tupperware things.